Our report & toolkit is out now! Today we officially launch our report and toolkit from our first research project. It has been a lot of hard work and we have many lessons to be learned from it. We will post more reflections in time. I hope that we have succeeded in our aim to open up a bit more space to talk about violence and abuse in activist communities. You can read more on our research page. We will be at the Centre for Crime and Justice Studies later today to discuss our findings, report and toolkit with some amazing speakers. Content note: this zine contains discussion of survivors experiences of sexual violence and how those around them responded including: silencing, denial and blame. Registration is now open for our final report & toolkit launch event. We are very excited to have so many amazing speakers agree to come along and share their perspective on our research project and final report. The event is free, fully accessible, has a safer spaces policy and food/nibbles will be provided. Places are limited. You can register for a place here. Dr Avi Boukli is Lecturer in Criminology at The Open University. Their recent work has examined anti-trafficking regimes and the financialisation of victim services, and they have broader interests in gender, sexuality, critical victimology and social harm. Avi is currently in the early stages of setting up the Queering Victimology project. Dr Alex Dymock is Lecturer in Criminology and Law at Royal Holloway University of London. Her research interests include visual and cultural criminology, gender and sexuality studies, and feminist and queer perspectives on criminal law. Alex is currently in the early stages of setting up the Queering Victimology project. Camille Kumar is Membership and Sustainability Coordinator at Imkaan, the umbrella group for Black and Minority Ethnic (BME) Violence Against Women and Girls (VAWG) organisations in the UK. Camille has worked in the ending VAWG sector/ movement for 15 years primarily in service provision for women experiencing VAWG. Camille is also a member of Black Feminists UK and Freedom without fear platform and is committed to developing and nurturing intersectional black feminist approaches in her work and her organising. Dr Sarah Lamble lectures in criminology at the School of Law, Birkbeck, University of London. Sarah’s research addresses issues of gender, sexuality and criminal justice, with a current focus on community engagements with transformative justice. Sarah is co-editor of the Routledge Social Justice Book Series and a member of the Reclaim Justice Network. 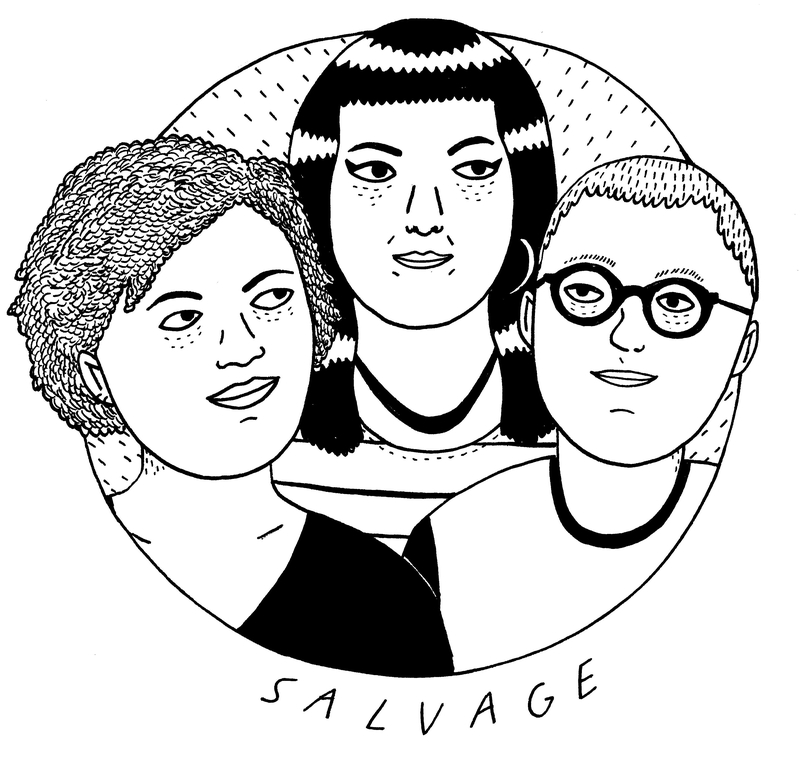 Salvage is a collective of survivors, activists and allies who aim to challenge endemic sexual violence and inadequate responses to sexual violence within radical social justice movements. The research project was conducted by the Salvage research collective: Dr Julia Downes is a Lecturer in Criminology at The Open University, Karis Hanson who works at Solace Women’s Aid and Rebecca Hudson who works at Crossroads Women’s Centre. There is a safer spaces policy in place for this event, available to view here. Please email thesalvagecollective@gmail.com for further information. The safer spaces policy will be shared and explained at the beginning of the event. We are really grateful for the interest that Project Salvage has attracted so far. On our trips out and about many people have told us that this project is timely, overdue and very much needed. Which is great. We are still keen on getting as many sexual violence survivors involved as possible. We are interested in hearing about as many different experiences and situations as possible. We understand that it takes time to process abusive situations and the idea of talking about it to a stranger can be daunting. We’ve had positive feedback about our interviews so far, for example, one survivor said “I spent 2 hours talking to Julia this afternoon and she’s very nice 10/10 would recommend”. If you are unsure if your situation or experience fits or if you want to share your experience in a different way with us (e.g. by skype, email or online chat rather than a face-to-face interview) please get in touch with us to talk it through. There is still time to do an interview. We are going to be doing interviews across the UK until mid-December 2015. Interviews can be arranged at a time, place and method of your choosing. You can email: julia.downes@open.ac.uk or call 01908 655455 to talk through how to take part. There is an answering machine that is safe to leave messages on.